MONDAY, March 12, 2018 (HealthDay News) -- A trip to the barbershop could hold the key to not only looking good, but also feeling good. A new study finds that having pharmacists deliver blood pressure care in neighborhood barbershops resulted in lower blood pressure readings for many black men. The study included 319 black men with high blood pressure who frequented 52 barbershops in the Los Angeles area. Barbers encouraged some men to meet once a month with specially trained pharmacists in the barbershop. The pharmacists prescribed blood pressure medication, monitored blood tests and sent progress notes to each man's primary care provider. Other men in the study did not see a barbershop pharmacist. Instead, barbers encouraged them to see their primary care provider for treatment and to make lifestyle changes, such as using less salt and exercising more. After six months, 64 percent of the men who saw a pharmacist achieved healthy blood pressure, compared with just under 12 percent of those who did not see a pharmacist, the investigators found. The study was published March 12 in the New England Journal of Medicine and presented at an American College of Cardiology meeting in Orlando, Fla.
High blood pressure is a top cause of early disability and death among black American men. 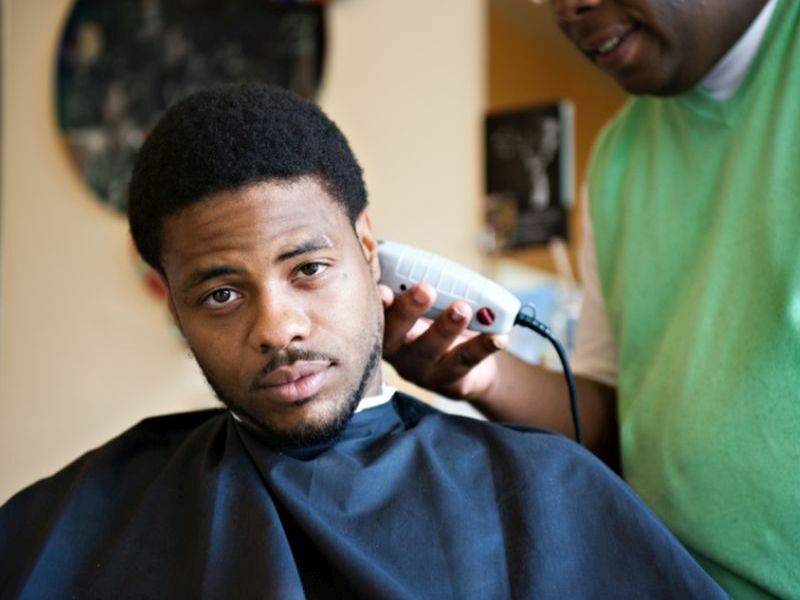 "When we provide convenient and rigorous medical care to African-American men by coming to them -- in this case having pharmacists deliver that care in barbershops -- blood pressure can be controlled and lives can be saved," said Dr. Ronald Victor, the lead author of the study. Victor is associate director of the Heart Institute at Cedars-Sinai Medical Center in Los Angeles. "High blood pressure disproportionately affects the African-American community, and we must find new ways to reach out so we can prevent strokes, heart attacks, heart failure and early deaths," he added in a hospital news release. One pharmacist who took part in the study explained the advantages of offering blood pressure treatment at a barbershop. "There is a different level of trust and respect that's earned when you meet people where they are, instead of in a hospital or clinic," pharmacist C. Adair Blyler said in the news release. "The rapport I've been able to establish with this group of patients has been unlike any other I've had in my professional career." Researchers are now studying whether the initial blood pressure reductions can be sustained for another six months.